The Inside Out cake you've all been waiting for is here. Forget the kids. 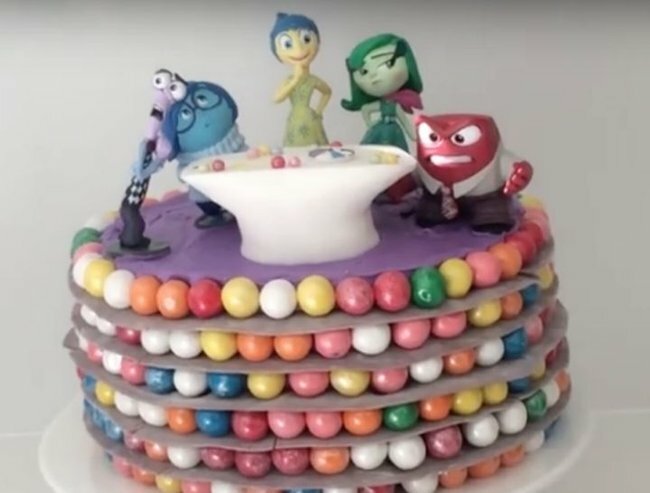 The Inside Out cake we all want. If your child is between the ages of four and 12 I bet they’re a little obsessed with the movie ‘Inside Out’. Or like most of us, maybe you’re a bit of a fan too. Well, lucky for you we’ve sourced a video demonstrating how you can make the birthday cake of all of your dreams. Ann Reardon from the baking YouTube channel &apos;How to Cook That&apos; has provided home bakers with simple and easy-to-understand steps on how to make, bake and create a colourful, memory-filled cake. The best bit is that it&apos;s practically only made out of sponge cake, food dye, gob stoppers and gum. So bakers, what are you waiting for? What&apos;s the most creative birthday cake you&apos;ve made for your child?